On 4 October 2012, the Democratic Socialist Republic of Sri Lanka joined the SUN Movement with a letter of commitment from HE Lalith Weeratunga, Secretary to the President. 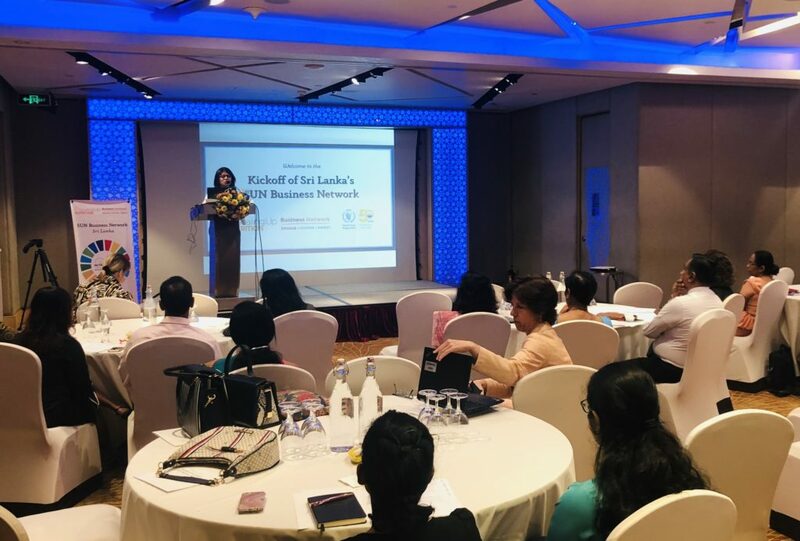 At the time, Sri Lanka had established an Inter-ministerial National Nutrition Council and a multi-sectoral National Steering Committee for Nutrition. Nutrition was also one of the key priorities of the government “Mahinda Chintana” development plan. In additional, a National Nutrition Secretariat had been set up at the Presidential Secretariat to provide technical and coordinating support in collaboration with UNICEF. 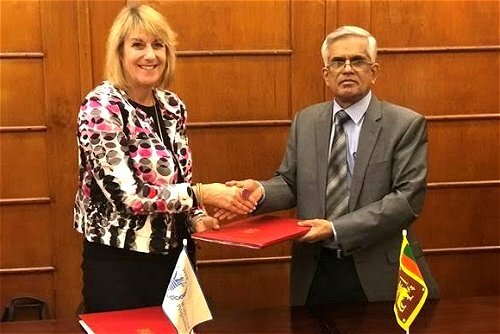 The National Nutrition Council (NNC) – Sri Lanka’s multi-sectoral platform – has been extended to include 16 ministries, in addition to UN and Civil Society Networks in 2017. Since its creation, the NCC has been chaired by President Sirisena, reflecting a high level of political commitment to nutrition, regardless of changes in administration. Platform activities are integrated into the national development planning mechanisms and monitored annually through a reporting mechanism established in March 2016 strengthened by the Multi-Sectoral Action Plan on Nutrition (MsAPN) 2017-2020. 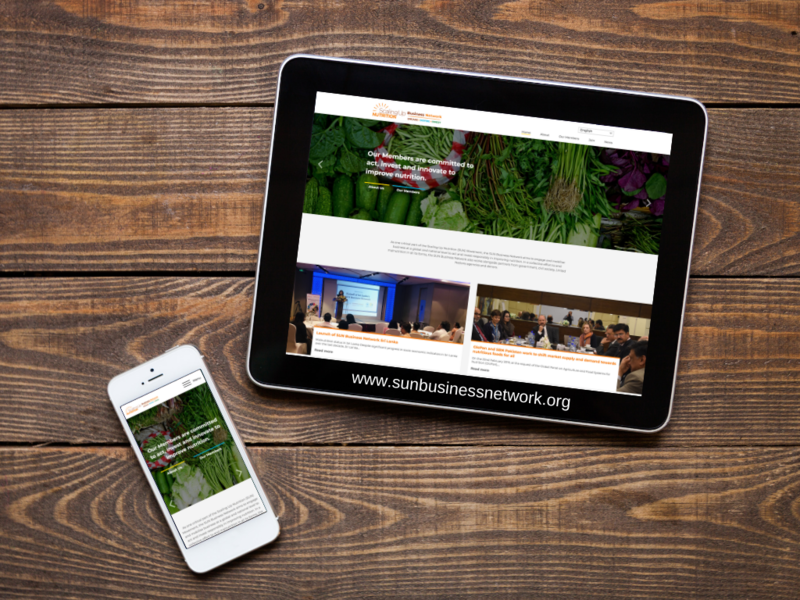 The plat- form is currently exploring the establishment of a Business Network to encourage public-private partnerships on nutrition. Sri Lanka’s high-level National Nutrition Council (NNC), chaired by the President, brings together 14 line Ministers, Chief Ministers of Provinces, and Members of Parliament from all parties. The implementation body of the NNC is the National Steering Committee on Nutrition (NSCN), and is replicated at the sub-national level including the provincial, district and divisional level, and convenes the Secretaries of the line Ministries, Chief Secretaries of Provinces, civil society representatives, and development partners, including UN agencies. The National Nutrition Council (NNC) of Sri Lanka is chaired by the President and the Additional Secretary of the Presidential Secretariat is the appointed SUN Government Focal Point. The National Steering Committee on Nutrition is the implementation body of the NNC that brings together 17 Ministries (including Planning, Agriculture, Fisheries, Livestock, Health, Women’s Affairs/Empowerment, Education, Social Services, Poverty alleviation, and Trade and Industry) in close collaboration with civil society, non-governmental organisations and is supported by United Nations (UN) Agencies. 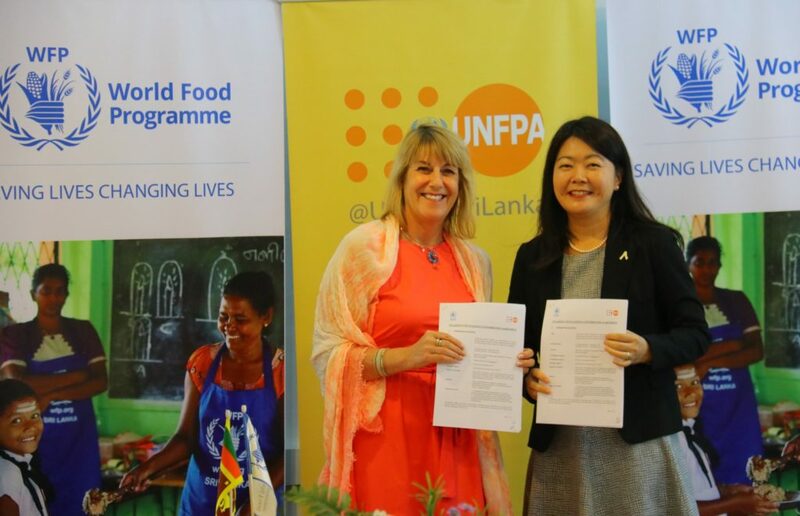 UN agencies and the World Bank, support the Government of Sri Lanka to achieve improved food and nutrition security. The Scaling Up Nutrition People’s Forum is the established Civil Society Alliance that supports implementation of actions at the ground level with Save the Children as the main implementing partner. Recently, a Media Awareness Forum was conducted to sensitise stakeholders from the media industry; including editors, journalists, program directors, television and radio presenters and to discuss the ethics of media in advertising campaigns and nutrition awareness. The 2013-2016 Multi-Sectoral Action Plan on Nutrition (MsAPN), which accompanies the National Nutrition Policy is being implemented by all 16 line ministries, nine provincial authorities and 25 districts. This Plan is monitored regularly, through national and regional-level progress review meetings and contributions from the multi-sectoral platform. This Plan is in the process of being updated to cover the years 2017-2020. A national strategic review on food security and nutrition towards Zero Hunger was launched 13 February 2017, to identify gaps and push policies to achieve SDG 2 by 2030. 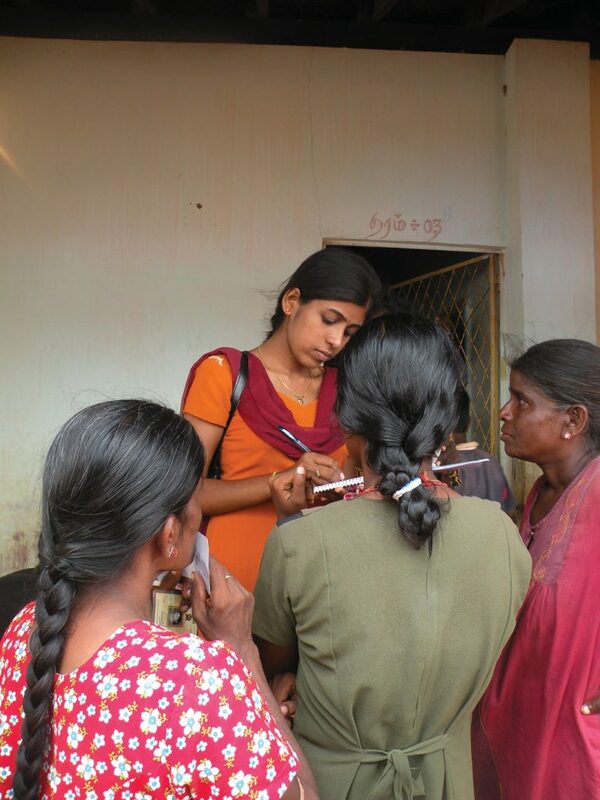 The Ministry of Health is carrying out a review of the nutrition policies in Sri Lanka, following reviews of the National Nutrition Policy by the SUN Civil Society Network (2016) and UNICEF (2015). The National Nutrition Policy (NNP) 2010 -2018, complemented by a Strategic Plan (2009) aims to ensure optimal nutrition throughout the lifecycle by enhancing the capacity to deliver interventions, advocate and build partnerships. The NNP is currently being reviewed with a multi-stakeholder consultation. Nutrition is also mainstreamed in sectoral policies, including, agriculture, livestock, non-communicable diseases, early child care development, and school canteen guidelines. The National Nutrition Policy (NNP) 2010 – 2018 provides a platform for inter-sectoral coordination in order to accelerate efforts to achieve optimum nutrition for all. The NNP is linked with a workable National Nutrition Strategic Plan (2009) which identifies the key health related and non-health interventions aimed at improving nutritional status. 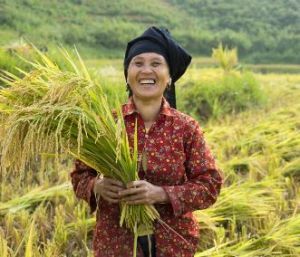 Draft Advocacy Action Plans for Civil Society Organisations are under development on the specific themes of Food Security and Communication for Better Nutrition. The national legislation covers the Food Act, salt iodisation, food labelling, food advertisement, consumer protection and the International Code of Marketing of Breast-Milk Substitutes. Maternity leave covers 6 months paid in the public sector and 3 months in the private sector. 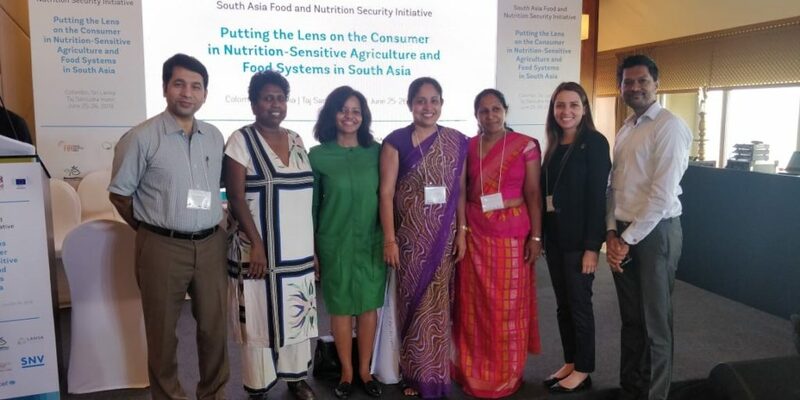 The country’s common results framework (CRF) monitors the MsAPN and is reviewed on a quarterly basis by the National Nutrition Secretariat, which was set up to enhance the coordination capacity and support the CRF in Sri Lanka. Additionally, the MsAPN is also reviewed in the provinces, districts and divisions every two months. An information system aiming to identify nutritionally at-risk households has been put in place as a continuous process and implemented by the National Nutrition Secretariat. So far, information from all sectors has been collected for over 150,000 children and pregnant women. Within the Ministry of Health, a national nutrition surveillance system was revamped in March 2017 to collect macro-level data. The Ministry of Education has established a school nutrition database, which gathers nutrition-related data of children in school. The implementation of the Multi Sector Action Plan for Nutrition (MsAPN) is coordinated by the National Nutrition Secretariat (NNS) through line ministries and the government administrative structure at the sub-national level (provinces, districts, divisions and villages). Detailed work plans with guidance for implementation are available, and quarterly progress reports are sent by district and divisional secretariats to the NNS. A web-based information system for identification of nutritionally-at-risk households allows performance evaluation. The Multi-sectoral Action Plan on Nutrition (MsAPN) is the Common Results Framework (CRF) that sets targets and milestones to reduce the prevalence of under-nutrition, anaemia and stunting amongst key population groups, as well as to improve food security and provide access to safe water, sanitation and hygiene to households-at-risk. The MsAPN has been jointly agreed upon by the 17 Ministries and in-country partners. Currently, the MsAPN is being reviewed by experts to avoid dilution, foster prioritisation and enhance on-going nutrition related activities at the national, provincial, district and divisional levels. The national multi-sector institutional environment is also reflected at the provincial level in two provinces, its expansion to all nine provinces is expected. A monitoring cell will track the overall implementation based on the World Health Organisation results-based framework, and have been agreed by line ministries to facilitate joint analysis of information gathered. A monitoring guidance note was also developed to be used at the district level and a database is being created to monitor activities. The MsAPN has been costed, however, it was found to be unclear regarding stakeholders’ contributions, which means this element will be scaled up for the next iteration of the MsAPN. A nutrition budget line was introduced in 2015 and continued annually with new allocations made towards promoting nutrition. More than 95 per cent of funding comes from the State, whilst the UN supports in filling financial gaps. However, civil society organisations are at risk due to lack of funding. monitoring progress and allocating resources to all ongoing programmes. The MsAPN has been partially costed. Nutritions pecific interventions of this plan are being costed with the help of the World Bank through the One Health Tool. Financing is provided by different sources including government and donors. A dedicated budget line for nutrition was opened up in the Ministry of Health and the finances were allocated from the Treasury. In order to implement the MsAPN, each ministry was instructed by the Treasury to create a separate budget line for nutrition, through a pooling of resources (public-private partnerships, allocations from provincial funds).